The PicoDot Edition:Wood refines the high functionality of our optical proximity switches in a modern wood design, which fits perfectly into a homely ambience. 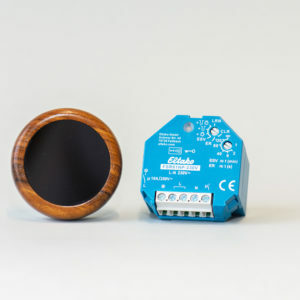 The high-quality PicoDot Edition:Wood is a radio-based, flexible and mobile proximity switch that enables non-contact control (switching and dimming) of consumers such as lights and various devices. 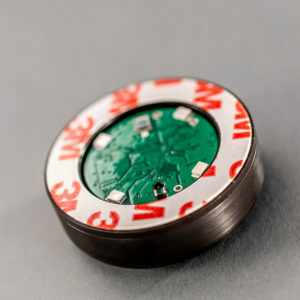 It detects optically via infrared and communicates via the EnOcean® wireless standard with radio receivers (EnOcean actuators), which can be easily and quickly taught and are connected to the respective consumer / device. 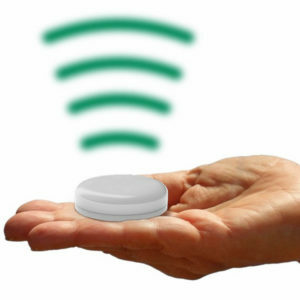 The wireless proximity switch with its sophisticated design can also be integrated in SmartHome and even in building bus systems based on KNX, DALI and others. 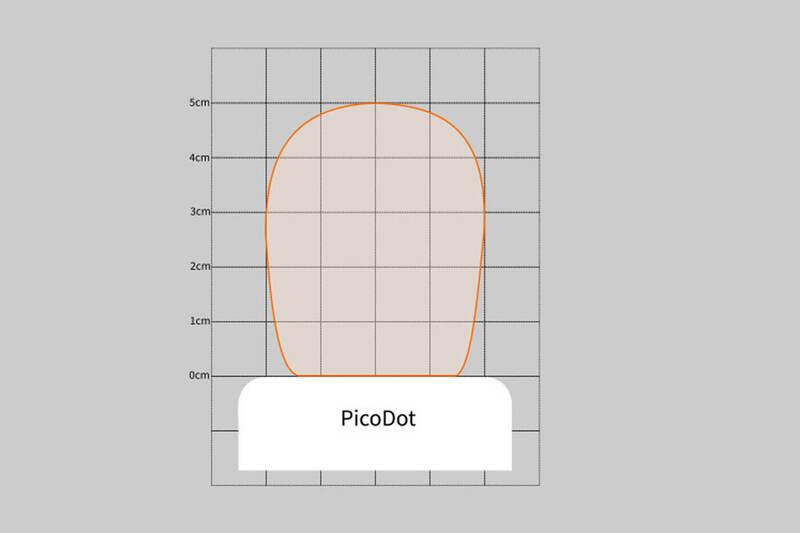 Through a simple “wave “ or „approach” of the hand inside an area of around 5cm distance, the PicoDot Edition:Wood can control all possible EnOcean® compatible actuators and their connected devices and consumers. 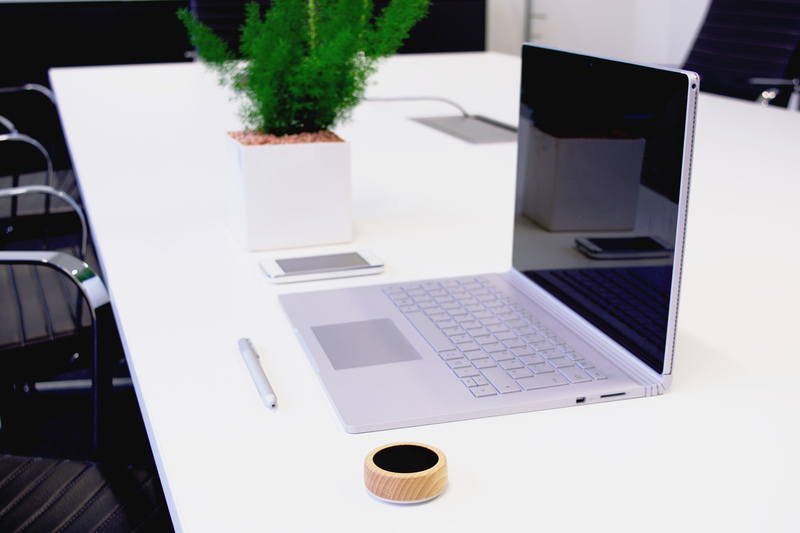 Connect the EnOcean® products within seconds with each other and place the clever and mobile wireless switches anywhere you like. 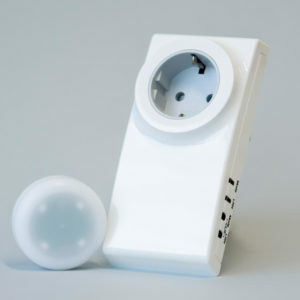 Now for example, you can control your standard lamps with an EnOcean® compatible switchable plug socket from anywhere inside the wireless range of around 30meters, turning them on and off and dim them remotely. There are countless actuators in a variety of forms (e.g. wall enclosure mounting) that can be connected and “Dotted”. 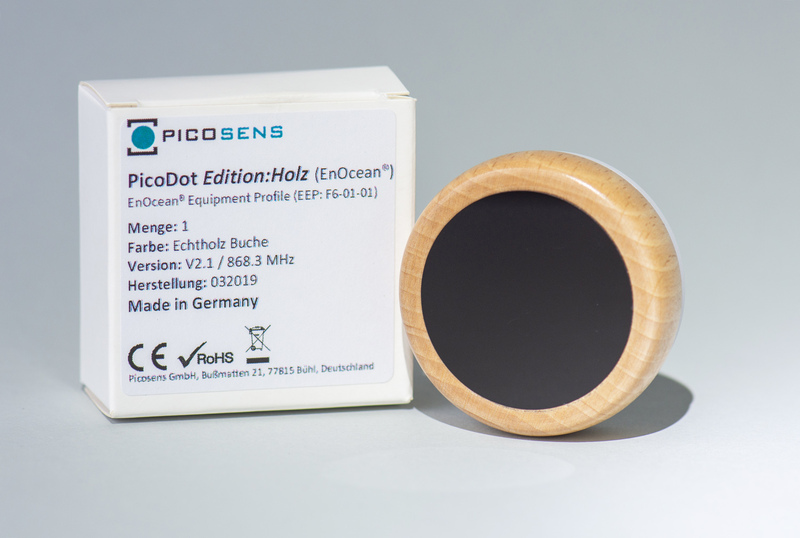 A few examples, and information to the integration possibilities of the PicoDot Edition:Wood in alternative “non-EnOcean®” systems can be found in the sub-menu “Compatibility”. 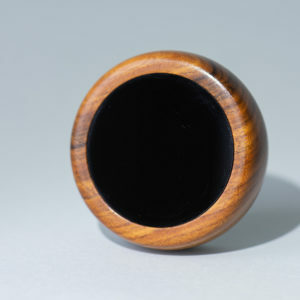 The PicoDot Edition:Wood was especially developed to have an extremely low energy consumption. The calculated life expectancy of the battery with a normal switching cycle of a typical light switch is approximately 70 years. That batteries today have approximately a 20-25 years physical life expectancy, means that the PicoDot Edition:Wood will provide a maintenance free service for this duration. A battery life expectancy to switching cycles comparison table can be found under the sub-menu “Technical Data “. 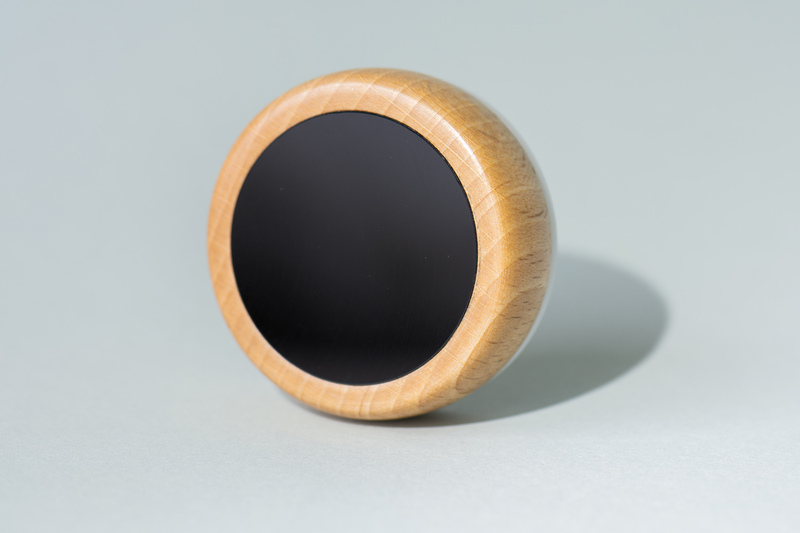 The PicoDot Edition:Wood that recognises a “wave” or “approach” of the hand, can also be operated in full sunlight, because the clever technology can regulate light up to 150,000Lux, which equates to 1.5 times direct sunlight. The optical system is self-calibrating. Once the PicoDot Edition:Wood is positioned, surrounding stationary objects will be automatically calibrated out inside 10 seconds, the PicoDot Edition:Wood can then be used as normal. Dust and other infrared light invisible “layers” are also calibrated out. 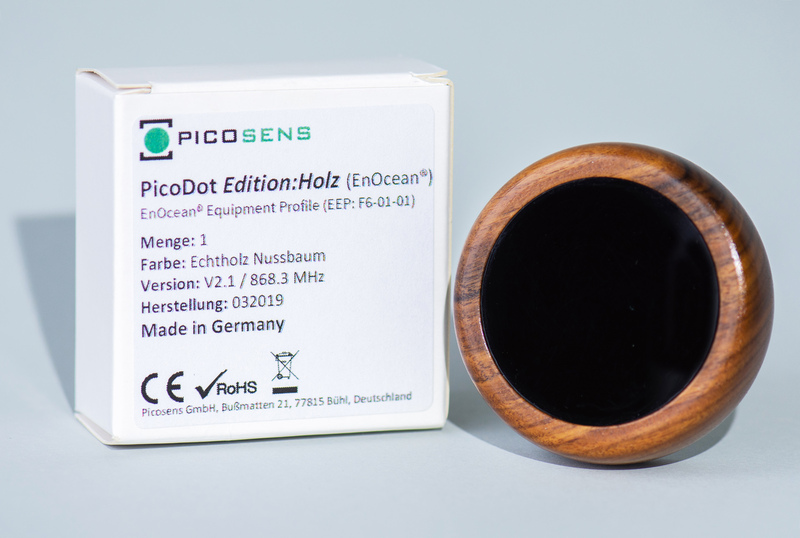 Below is a list of examples of EnOcean® actuators that can be used with the PicoDot Edition:Wood to switch different consumers and devices. 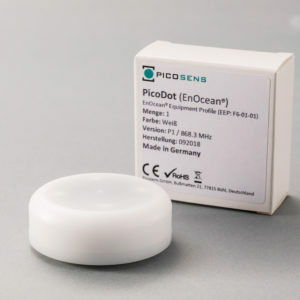 A list of all EnOcean® actuators that we have tested, including instructions for setting the function modes for learning the PicoDot, can be found at picosens.de/EnOcean. The PicoDot Edition:Wood can also be integrated into existing building control systems via so-called gateways. 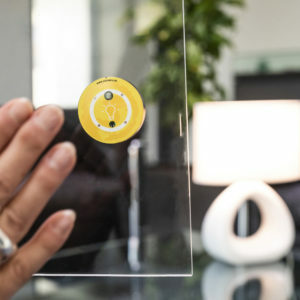 There are various gateways that translate EnOcean® communication into home automation systems such as KNX, DALI, … or other common bus systems such as USB. 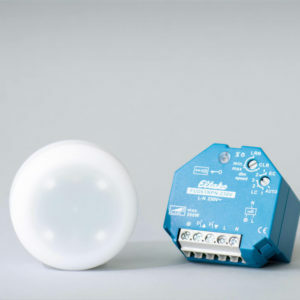 For the home automation area, EnOcean® over WLAN gateways are also interesting. *The calculated battery life expectancy is entirely dependent on battery aging and quality. 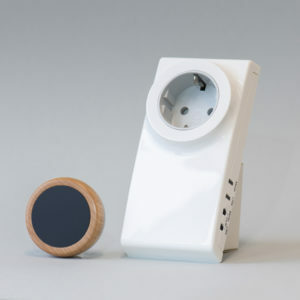 PicoDot Edition: Wood - Proximity switch for EnOcean® Peha Easyclickpro mains adaptor - finished in wood 196,00 € inkl. MwSt. 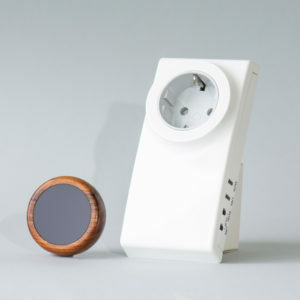 PicoDot Edition: Wood – EnOcean® Proximity switch & Eltako wireless actuator FSR61NP-230V - finished in wood 192,00 € inkl. MwSt. 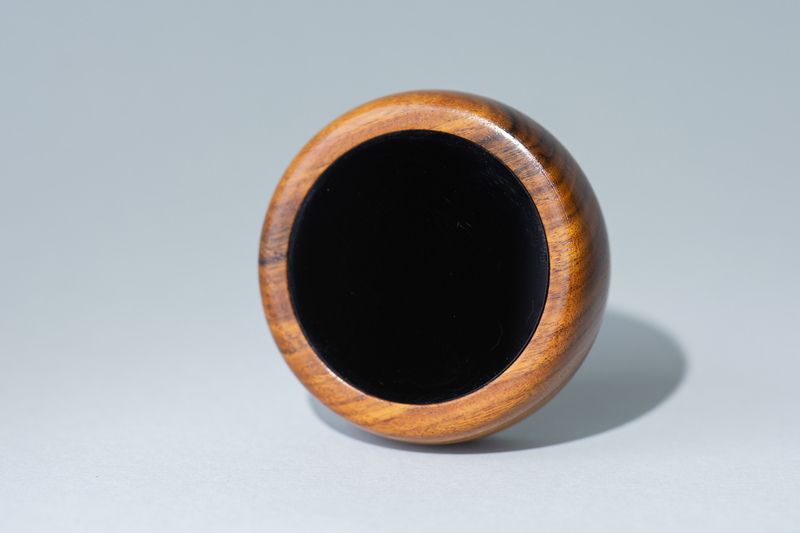 PicoDot Edition: Wood - Proximity switch for EnOcean® - finished in wood 95,00 € inkl. MwSt. 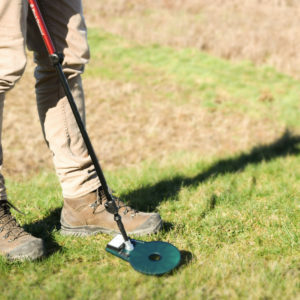 Single Hiking-/Trekking pole – for MTC PROFESSIONAL WS 40,00 € inkl. MwSt. 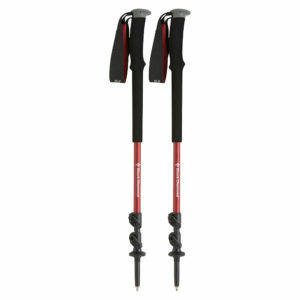 Hiking-/Trekking pole set – for MTC PROFESSIONAL WS 80,00 € inkl. MwSt. 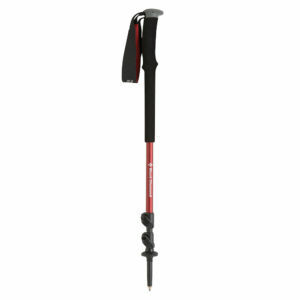 MTC PROFESSIONAL WS – MTC PROFESSIONAL with Trekking pole adaptor 399,00 € inkl. MwSt.